If this piece of code to to warn the user that you can't edit Plugins/orbbec.ini maybe throw; a better error ? Okay after trying my fix from my side I notice with my change this can be a problem to git repositories since the file will always be created/edited. 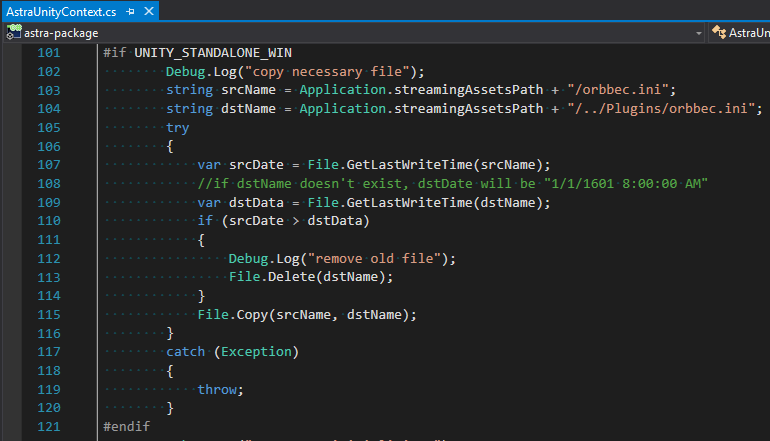 Is this new peace of code actually doing something ? Shouldn't be copied to /plugins/[x86/x86_64]/orbbec.ini instead of /plugins/orbbec.ini ?